A huge collaboration from Atlanta’s Mayhem, and San Francisco’s Antiserum on the track Brick Squad Anthem. Large sounds from two artists who have firmly established their place in the upper echelon of US-based producers, giving this one up for download. Click on over to the Facebook link above to check it out for yourself. 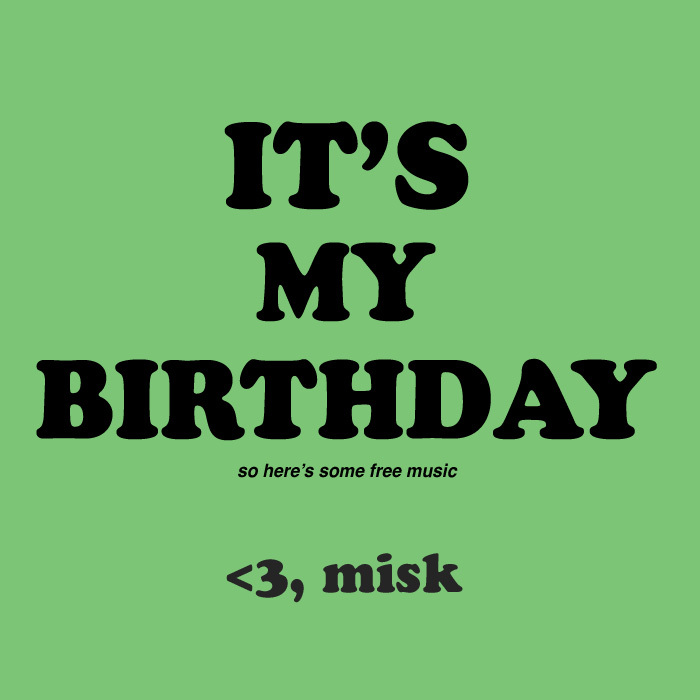 Happy Birthday to San Diego’s misk. If you forgot to get him a gift, you can do him a favor and go download a new five-track EP showcasing his tracks, and he’s been nice enough to let you name your own price on this one. Obviously with it being his birthday, it would be fair for you to pay more than $0 – do something nice for the man on his birthday, and oh yeah – enjoy the tunes. Savannah, GA and Detroit, MI partner up on this collab between Helix, under his ‘Thigpen‘ moniker, and Simple out now on Dario and Marco Zenker’s Ilian Tape label. The single Licking Peanut Butter (Insert/Repeat), available as a 12″, features the original alongside remixes from the Dario Zenker and Marco Zenker partnership, as well as Freak Seven. Already seeing support from Efdemin, Anthony ‘Shake’ Shakir, and Maya Jane Coles we don’t expect this to stay under the radar long. Also, an exclusive for everybody who made it over, the guys at Archie Pelago are letting us give everybody the opportunity to download their unreleased rework of the original, check beneath the fold to preview both tracks and download the rework.